Always fun for all ages where the Winchester community eats, shops, runs, and watching performances and listen to music. Friday starts with a block party and the Battle of the Bands. Then Saturday morning the Road Race and a Pancake Breakfast. 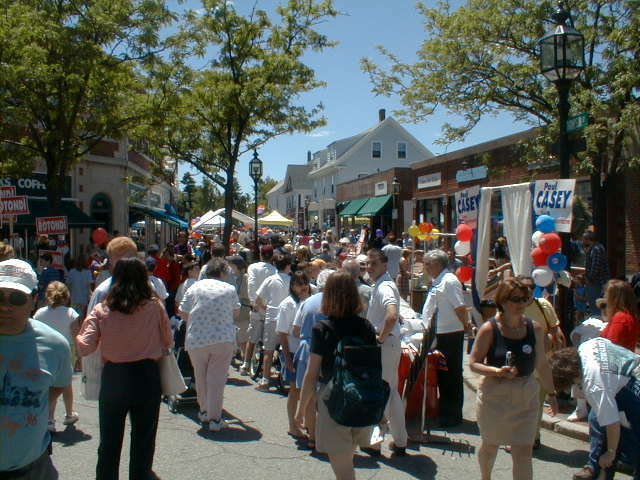 Streets will be filled with booths of organizations, shops, and food merchants. We will have our booth with our sign up sheet to get our newsletter, talk about our new parent organization Community Hub, talk about our new vendors. Stop by – it will be great to see you. Plus if you want to volunteer for the booth, please contact us. We heard that some stages and booth might be moved around due to the road and bridge construction, so go to the Town Day website to get current information and the Town Day schedule.